Arginine is one of 20 amino acids, the building blocks of protein. 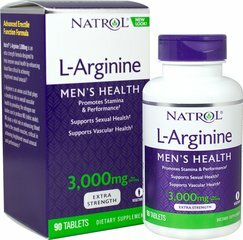 ** Arginine can serve as a source of energy, and is involved in various pathways throughout the body. ** Arginine supports the effect of exercise and is one of the most important amino acids involved in immune function. ** Adults can take one caplet daily.